If you’re a harp player in the market for a solid microphone that can give you the same kind of fat tone as some of the best blues players in history, the Shure Green Bullet 520DX Dynamic Harmonica Microphone would be hard to beat. Personal preference is an important consideration when choosing between harmonica microphones. Just because one musician prefers a certain brand of microphone, that doesn’t mean it is perfect for everyone. So keep reading to learn all about my top pick, as well as other viable options. To create this list of the best harmonica microphones, there was extensive research to determine what makes one harmonica microphone better than another. A review of over 50 contenders ensured that only the best landed on this list. It’s frustrating when you buy a new piece of equipment that doesn’t live up to online reviews or word of mouth. So here is a carefully constructed and thorough guide to the ins and outs of purchasing a harmonica microphone. Keep reading to see which ones stand head and shoulders above the rest. Its high output is exactly what most harp players are looking for to capture that big crunch of overdrive tone. Before comparing products, here is some information on the available specifications. Once you understand what makes the best harmonica microphones, you’ll be able to choose the right one for you. The term acoustic refers to a subclass of microphones that generate a cleaner sound. These types of microphones are popular in classical music because their goal is to preserve the clean sound of an instrument. It should sound as if you are standing in a room and hearing it without a microphone at all. These are typically standing mics that are left in the air, not cupped in your hands. The acoustic tone is fairly simple and achievable with a microphone plugged directly into an amp or PA system. The tone comes largely from the player, as well as the distance between their body and the microphone. Amplified microphones, on the other hand, are what people tend to think of when picturing a harmonica player cupping his hands around a microphone. 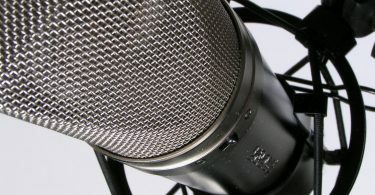 These microphones produce a fatter, more distorted sound, and are common in music genres like blues, jazz, country, and bluegrass. When a musician cups a microphone, it produces a distorted sound by increasing the volume of playing to overdrive the signal. The amplifier then responds by intensifying the distortion and adding its own, creating that fat tone people love. Some harmonica players choose a condenser microphone for home recording. However, it’s not possible to capture that fat, bluesy tone with a condenser microphone. If you choose to go for an amplified tone, shape and size can make or break a microphone. 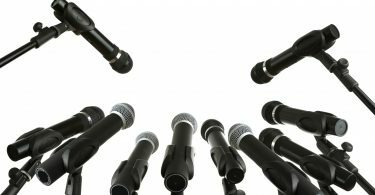 If a microphone is too large or awkward in your hands, it will be hard to grip for a sustained period. This could make playing shows difficult. And if the size of the mic is too large, cupping may be impossible for players with delicate hands. The most popular shape of harmonica microphones is by far the “bullet mics.” They are the older, vintage-looking models that picked up in popularity in the 1940s. A good output level yields a more powerful sound. This can be great for playing in larger venues, or for recording at home when you want that extra oomph. The downside to a high output level can lead to feedback, which can make it tricky to find that sweet spot of sound. For a detailed look into the technical aspects of the best harmonica microphones, check out this informative article. In addition to the technical specifications, you should research a harmonica microphone’s quality and ratings before your purchase. That way, you’ll get one of the best harmonica microphones for your money. Why Choose a Trusted Brand? Most musicians have their favorite brands that they trust. Most top brands include a warranty or refund policy that can be more generous than what you get with generic or homemade gear. But don’t arbitrarily limit yourself to the brands you trust. Always keep your eyes and ears open for signs of up and coming contenders. Obviously, you’ll want to determine whether or not the price is right when looking at musical equipment. Gear can be expensive, and the best harmonica microphones are no exception. When looking at prices, skill level is one of the most important things to consider. 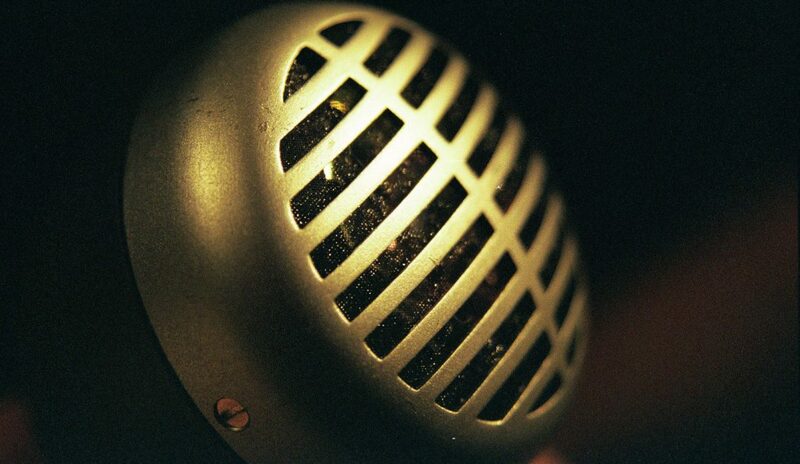 The difference between an expensive microphone and a less expensive one may not be great. So, for a beginner who isn’t sure if they want to continue playing the harmonica for years, a less expensive microphone makes sense. 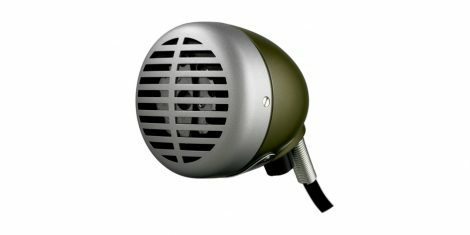 The Green bullet is an amplified microphone that has remained one of the most popular choices for blues and jazz musicians. It has a high output, which means it will drive any amp super hard. This high output is exactly what most harp players are looking for to capture that big crunch of an overdriven tone. But for some players, the size and weight may be an issue, as the Green Bullet is larger and heavier than some of its contenders. 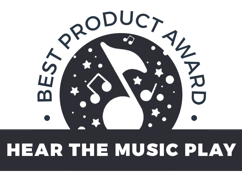 Although it does have its downsides, the Green Bullet is made by Shure, which is a trusted brand in the audio electronics industry. 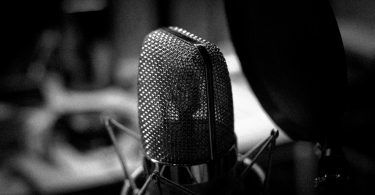 They have been making quality microphones since 1925 and continue to set industry standards with superior products. Shure products tend to be on the higher end in pricing. Still, the Green Bullet comes with a reasonable price tag. The Shure Green Bullet features a volume knob. This allows musicians to adjust their output to fit a wide variety of playing venues. It works for an at-home setup, as well as an auditorium with a top-notch PA system. Weighing 26 ounces, the Green Bullet sports a retro design with green and chrome finished die casting. It also features a rugged, dynamic cartridge with improved response, as well as a quarter-inch connector and 20-foot cable. As the next highest contender to the Shure Green Bullet, the Superlux D112/C Dynamic Harmonica Microphone comes in as a close second. Essentially this is a budget version of the Shure Green Bullet. Like the Green Bullet, the Superlux D112/C has a volume knob, but is a bit harder to overdrive than the Green Bullet. Despite this, the Superlux is a bit smaller and weighs a few ounces less than the Green Bullet. This makes it a good fit for those who find the Shure Bullet mic too awkward. 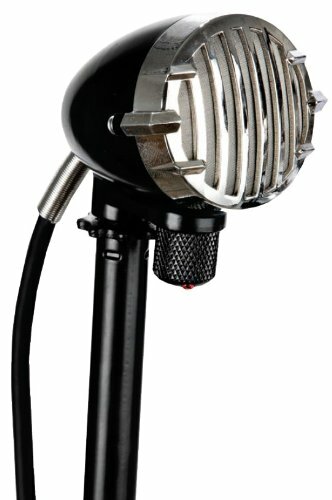 What stands out most with this microphone is the price tag, as it is about half as expensive as its Shure counterpart. So if you’re okay with less overdrive and want a better introductory harp mic, the Superlux is a solid pick. 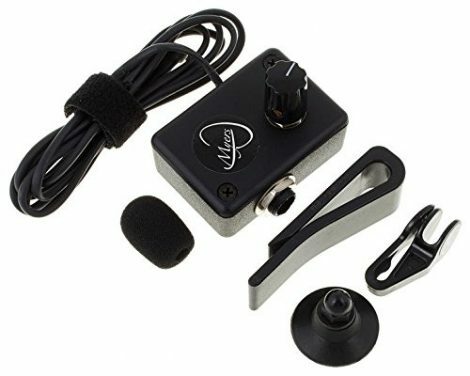 This interesting little mic offers an alternative to players looking for a less bulky option with little feedback. Although it is small, this little guy can pack a punch. 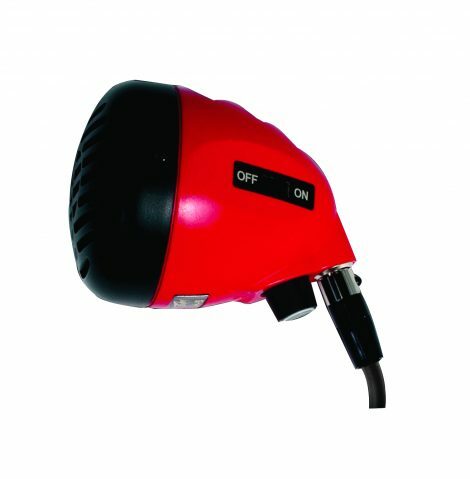 At full volume, it can drive almost anything you plug it into. And with the attached volume knob, adjusting to the right venue is easy. 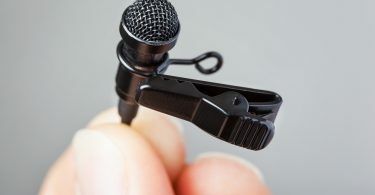 The mic is made of plastic instead of a sturdier option like metal or chrome. However, this design choice makes the Shaker mic lighter than most. The Shaker Dynamic Handmade mic is for those looking for a versatile mic with a reasonable price. This is another harmonica microphone similar in style and quality to the Green Bullet. However, it had a retro “Roadhouse” design that many musicians who love vintage desire. 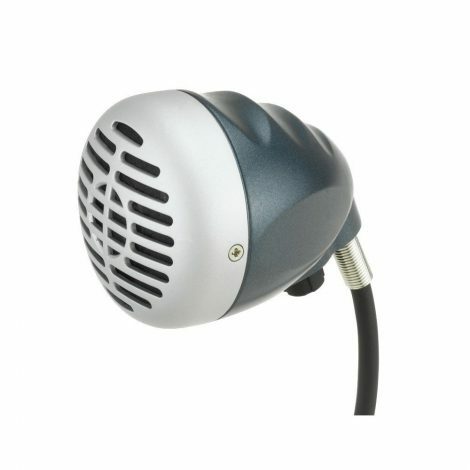 This microphone is compact, durable and easy to use. Also, it is versatile and technique sensitive. One con is that it could use a quick-mount. And the mic provides excessive feedback at times, almost too readily for some. Some users complain about its unreliability, while others have reported a crackling or humming sound while playing. This seems to happen on a random basis, rather than being a trend for this specific model. The Shaker Madcat harmonica microphone is on the higher end of the spectrum when it comes to harp mics. Unlike a standard bullet microphone, it’s ergonomically designed to fit comfortably in the palm of your hand. The mic is shaped to allow the harmonica to rest more naturally in the hand of the musician. So, there’s no need to adjust your grip to hold onto the bulkier bullet types. However, the cord is a little short, coming in at around four feet. This would be a decent length for home recording, but could offer some trouble if you play on a larger stage. 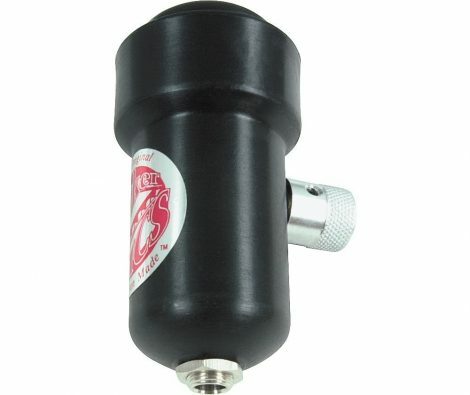 This little microphone sports an experimental design, much like a shrunken down version of the Shaker Madcat. They designed this mic to slip right on to one of the harmonica player’s fingers. This allows for the most natural, comfortable feel while playing when compared to other harmonica microphones. Its tiny size, lightweight design, and playability make this a great microphone, although it is a bit costlier than others. The Feather Soul is a microphone for the professional level musician looking for more control and less feedback in their sound. Getting back to bullet-style microphones, the Peavey H5C has a professional tone that some prefer over the Green Bullet. It beats the Bullet at a slightly lower cost, but the tone and quality of sound you get is comparable. You’ll notice that the Peavey H5C weighs three pounds. This makes it the heaviest microphone on this list of the best harmonica microphones. It’s a decent choice for anyone who doesn’t mind the weight and wants a more affordable option than the Green Bullet. You can use the Nady Bushman Torpedo as both a vocal and harmonica microphone. It is also possible to use it with an uncupped grip to produce a clean sound for vocals. This makes it a solid choice for lead singers who want to break out their harmonica skills. This affordable microphone promises to be more versatile. The downside is the lack of a volume control knob if you’re only going to use it for the harmonica. All in all, the Bushman Torpedo is a good choice for singers, but not if you just want to play that harp. The Apex 327 features that compact bullet shape musicians love. It has a high output with increased gain and a volume knob. You get an integrated stand mount adapter to keep your hands from getting tired. It also includes a padded carry bag to protect it from damage. 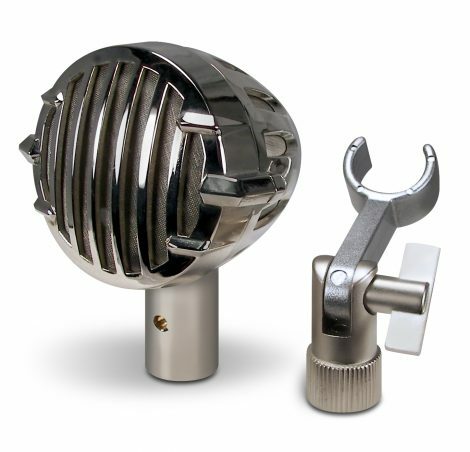 As an alternative to the popular bullet design, the Audix Fireball V looks more like a typical microphone. And it weighs under five ounces. Audix designed it with the harmonica playing beatboxer in mind. 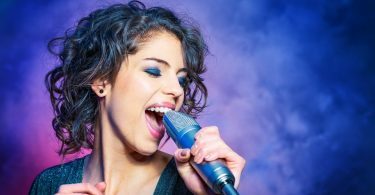 This professional level mic costs a bit more than the others on this list of the best harmonica microphones. However, if you’re looking for the distorted sound of a bullet mic, you’ll be disappointed. This mic boasts zero to little feedback but is clean in its tone.